2016 Chevrolet Malibu Red Line Concept Heading To Production? 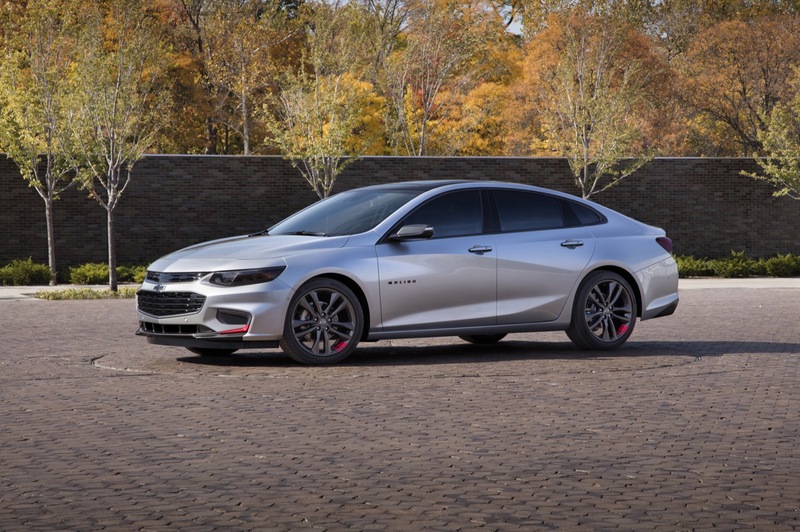 We told you that we would like to see the 2016 Chevrolet Malibu Red Line Concept make its way to production, and now there’s talk that it actually might happen. 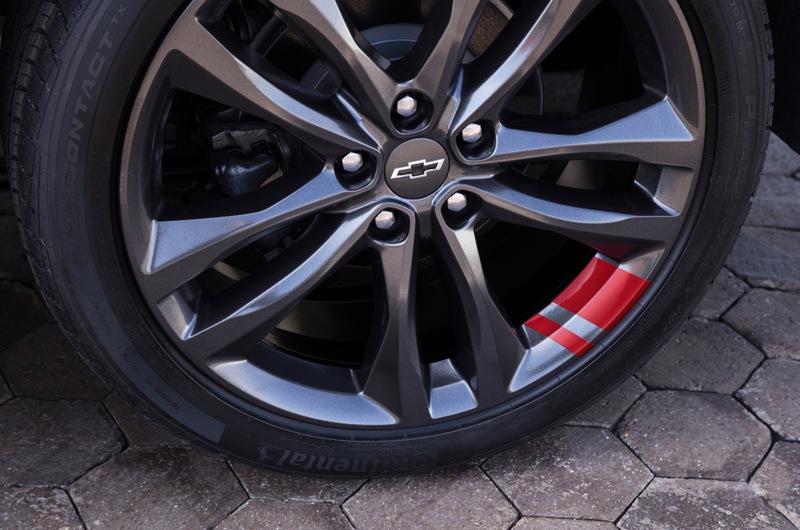 Due to the positive reactions Chevrolet received during the 2015 SEMA show by both the media and showgoers alike, the brand is considering the idea of adding a Red Line accessories package for the 2016 or 2017 model year. 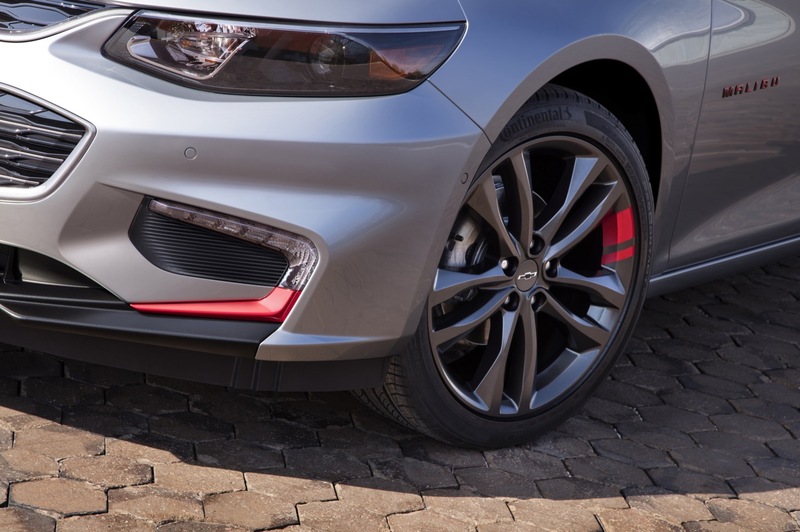 If the accessory package mirrors what we saw at the SEMA show, it would add the razzle and dazzle of the Red Line Series’ sporty looks, including an “Enhanced Silver Metallic” finish, 19-inch wheels, along with tinted headlights and taillights. The perfect solution for buyers who want to buy an even more attractive new Malibu. For those who were expecting some more performance with the kit, we regret to inform you that the Red Line package will not include any performance upgrades. Though we figure a Red Line 2016 Malibu with a 2.0L turbo engine under the hood would have a great balance of looks and quickness. We did drive the new ‘Bu earlier this month, and we have to say, the 2.0L turbo moves pretty good. 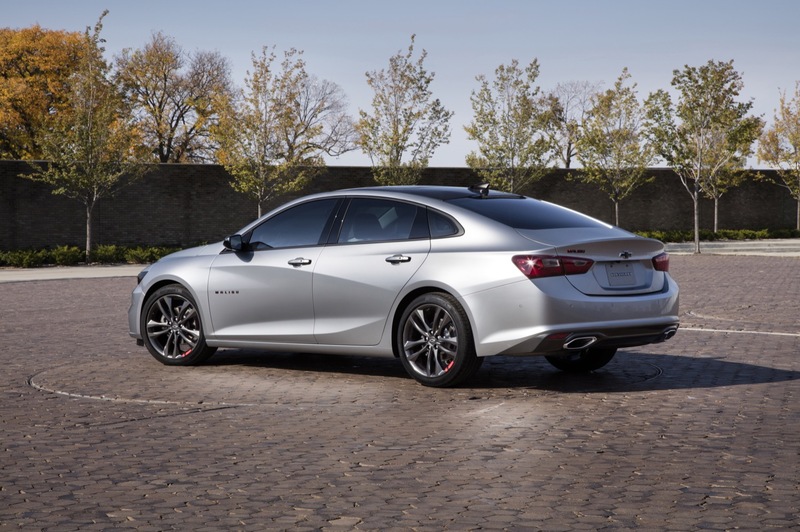 Perhaps a limited production run will give the Red Line 2016 Chevrolet Malibu a more exclusive factor on top of it all? Give us your thoughts on this by commenting below. It’s cool if the general does a sporty edition of the Malibu. The only thing that is a turnoff is the Red marks on the rims. 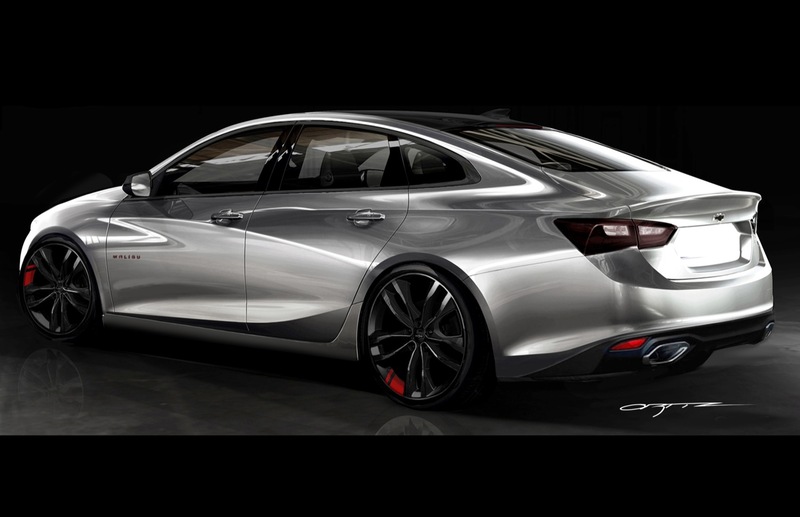 I bet the Chevy Cruze is not going to get anything this whole decade….just put the 2.0 turbo in the damn car already!!! Just realized that this is the first Malibu not influenced by Caddy dedign in two generations. This car will top Fusion. Ofcourse it will top Fusion. The Generals cars are getting lighter and tighter. It’s a shame that GM had a rough past and now have to prove themselves again- because the new cars are getting better and better. 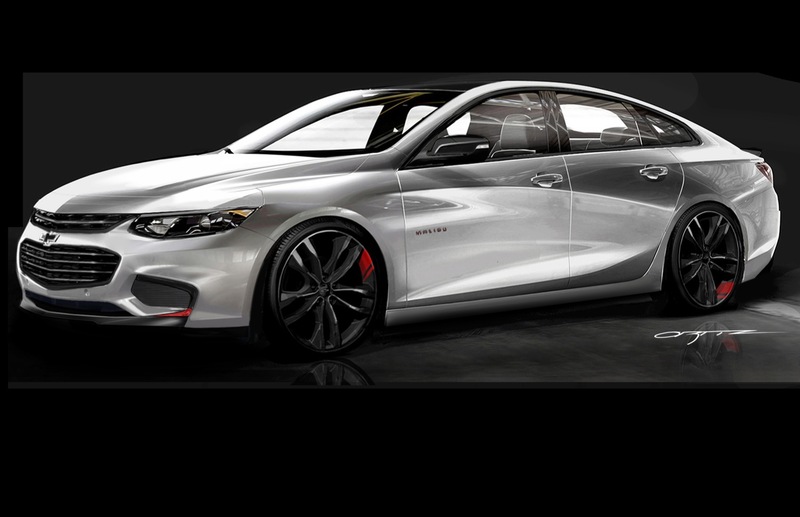 I test drove an ATS coupe with the 2.0T…wow does that car drive great. Cadillac had nothing to do with Chevy design any time recently. Slab sides and low sloping roofs were the trend of the time and many brands shared in that. Other than the one Supercharge Saturn redline there really was not much to the line. The Vue was just a Honda V6 that really was not all that fast. It was only breath taking if you has asthma. The engine is able to do much. I would make the GM turbo upgrade a dealer installed option here. To get the power it take Premium Required not Recommended. This way the owner can make the choice and the dealer can install it at the time of delivery. Generally it is two map sensors and a computer flash. You have to consider that there is a limit for what people will pay for a Chevy before other options become more attractive. Lets face it you get to $40K you can get a decent deal on an ATS with RWD. Better yet you could get a V6 Camaro for even less that would run 13’s all day with RWD. If you add a AWD you will add more to the price and if you want a V6 you would add back most of the 300 pounds and kill the balance. Finally this is a family sedan. It is mostly to get most people from point a to b with comfort safety and MPG. The performance version of this would sell in small numbers like the Cobalt SS did. It is easy to dream and make all sorts of internet CEO decisions here but you have to consider cost, volume, target market and the like. Too often these cool ideas get shot down fast. We also need to factor in the coming Regal as I expect it to be more sporting and more power. The price of that car would let it better fill the gap and offer things like AWD much easier. Also Buick people are inclined to pay for Premium fuel. I know it sounds petty but many customers will not buy a car that requires premium. That is why GM has really gone the Recommended engine route. Even if it is only a couple bucks people often will pass over a car because of it. I am not that way but many in the public sector are and it cost sales. This is why the add on Tune kit would really fit this well. I have a GM tune and love it but that is just me too many others want the choice to run the fuel they like. I didn’t say Caddy influenced Chevy. just said at the end I test drove an ATS. and stating that the General’s current cars handle great. It’s not fair to say Cadillac design was influencing Chevrolet. The platform overlap in the passenger car segment actually hit near-zero for many years in the 2000s. Bob Lutz loved sloping lines, flat front ends, and large arcing-up trunk lines. So did a lot of people. What irks me is that this Red Line doesn’t carry the torch of Saturn Red Line – breathtaking performance that leads the segment, and gives the premium brands something to lose sleep over. The LTG can do over 300 horsepower – why not set it free with a Stage 2 tune? If GM is going to put effort into it, it should have engine, suspension and braking performance to compliment the Red Line label. it could be used on fwd vehicles. Exactly. Throw in some performance upgrades. 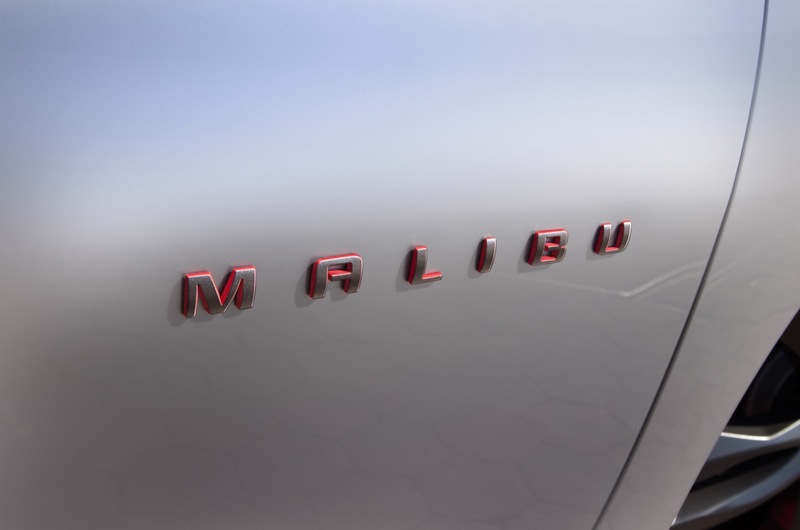 I can see a “performance” Malibu being a more spartan version of the Buick Regal GS. Target the Mazda 6, Chrysler 200s AWD, and the possible Fusion ST while the other trim levels target the Camry and Accord. I wouldn’t be worried about the Regal GS. It should be aimed squarely at the Volkswagen CC. How about a performance Malibu called the Chevelle.How about a better color then lame silver. I agree the Malibu was a luxury trim line for the chevelle back in the 60s. But then the Malibu took over that line and they dropped the chevelle. Instead of using the ss badge call it the chevelle for a performance version of the Malibu. Granted now we have a ss sedan which is pretty much the chevelle just doesn’t have the coupe version which I’m honestly fine with I just think they should market the ss sedan a little better sell, insure that it will have a next gen.
Ha you got to be kidding? the 6.2 ltr. LSA in this?